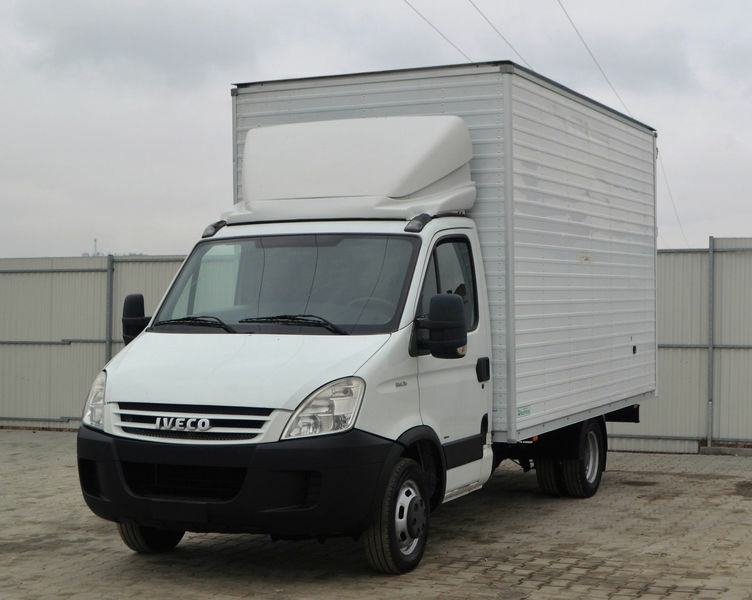 The list of IVECO 35C15 closed box van offered for sale in our catalog is constantly increased. The details on engine output, gearbox and emission class are as follows: diesel, displacement: 3000 cc, 150 hp, gearbox: manual. Cab comforts include air conditioner, number of seats: 3. Bodywork: loading length: 4100 mm, loading width: 2100 mm, loading height: 2430 mm. The mileage is 296000 km.